What role in tackling Africa's challenges? The African Union (AU) is a continental body. It was formed out of the brink of the Organization of African Unity (OAU), which was the first continental organisation integrating Africa, presenting the continent as one on the international stage and defending the continent's interests. The history leading up to the establishment of the AU builds on the principles of Pan-Africanism, integration, Human Rights, peace, democracy and on security. Today, the African Union counts 55 African member states. The last country to join the union was Morocco, which in January 2017 was readmitted after more than 30 years. Until late 2016, Morocco was the only African country that was part of the United Nations but not of the AU, mainly because of the 1984 admission of the Sahrawi Arab Democratic Republic as a full member of the OAU. However, over the past few years, Morocco has shown interest in rejoining the AU and in September 2016, the country submitted an official request to be accepted back into the AU. This request was officially accepted during the 28th African Union summit, on 30-31 January 2017. The African Union is headquartered in Addis Ababa, Ethiopia. Its Constitutive Act, adopted in 2000 at the Lome Summit in Togo, entered into force in 2001. The African Union stands for "an integrated, prosperous and peaceful Africa, driven by its own citizens and representing a dynamic force in global arena". As stated in the Constitutive Act of the Union, the AU aims at accelerating the political and socio-economic integration of the continent and promoting peace, security, and stability. It also envisions sustainable development for Africa at the economic, social as well as integration among the different African economies. The AU Commission (in the upper-left corner of the infographic above) is an organ of the African Union and is entrusted with executive functions. The Commission is a key organ, playing a central role in the day-to-day management of the African Union. The current Chairperson of the AU Commission is Moussa Faki Mahamat from Chad, who took office on 14 March, 2017. How is the AU financed? The funding of the African Union mainly comes from two sources: member states and donors. Between 2009 and 2010, only five countries financed 66.3% of the AU budget: Algeria, Egypt, Libya, Nigeria and South Africa. Besides member states' contributions, the AU still depends on external funding. This mainly comes from Official Development Assistance (ODA). However, the African Union is looking for greater financial independence. Following the 27th African Union Summit, which took place on 17 and 18 July 2016, the AU Assembly agreed upon a new formula for financing the AU based on the Kaberuka Report. Member states agreed to a 0.2% import tax, which will be collected by their respective tax authorities. This import tax will be levied on eligible goods to be determined by each member state. The proposed tax is expected to bring in approximately $1.2 billion per year. Member states’ contributions are grouped into three tiers: as of 2016, 48% of the budget covered equally by countries with shares of gross domestic product that is 4% above the continent's total (Algeria,Egypt, Morocco, Nigeria and South Africa). The remainder of the budget is to be contributed by countries in the second tier with shares of GDP between 1% and 4% (13 countries) and countries in the third tier with shares lower than 1% (37 countries). However, a number of implementation issues arose, requiring further clarifications and dialogue. These ranged from technical and legal issues related to the implementation of the levy, compatibility with trade rules under the World Trade Organization, and to the accountability around the use of funds. As a result, the discussion on the implementation of the 0,2% needs to be viewed in the broader context of reforming the AU's financing and budget processes. Since the African Union aims at promoting political cooperation, economic integration, and global representation, the decision-making power belongs to its member states. Yet, the process of decision-making within the AU involves both technical and political input from various African actors, organisations and platforms. The AU established the Committee of Finance Ministers (F10 now F15) mandated to review and evaluate the budget of the AU as well as propose implementation mechanisms of the 0.2% levy. In its quest to deliver hope for the African people, the AU has been able to make advancements whilst also facing challenges in various areas. In this guide, we focus on four key areas: justice, migration, peace & security and the African Union's role in the international arena. The AU Constitutive Act, in Article 4(h), gives to the Union the right to intervene in member states in case of grave circumstances such as war crimes, genocide, and crimes against humanity. In a way, this right mirrors the activity of the International Criminal Court (ICC), which also has the power to investigates and, when warranted, try individuals charged with the gravest international crimes. The African Union has so far opted for political solutions focused on peacemaking and reconciliation, while the International Criminal Court (ICC) has so far focused its activity on the prosecution of cases. Some AU member states were instrumental in the creation of the Rome Statute, the document that established the ICC. The first ratification was by Senegal, Niger and the Republic of Congo. These were part of the ten instruments simultaneously deposited to make the 60th ratification that brought the Rome Statute into force. In 2004, Uganda was the first African country to refer a situation to the ICC. The African states to the Rome Statute make up the biggest regional membership, comprising 33 of the 124 members. Yet, things are changing. Currently, the ICC is dealing with 11 situations under investigation, ten of which involve African countries namely: Sudan, the Democratic Republic of the Congo (DRC), Uganda, the Central African Republic (two situations), Kenya, Libya, Côte d’Ivoire, Mali and Burundi. In addition to this, three countries - Gabon, Guinea and Nigeria - are under preliminary investigations. It was the ICC indictment of the Sudanese President Al Bashir that triggered tensions between the ICC and African countries. After, the AU took a stand and called for a re-thinking of the international justice system. Divergent perspectives on what is required to tackle justice are at the heart of the division. The rift is often caused by a neat difference in priorities: where one gives more importance to peace processes, while the other gives more weight to obtaining (international) justice. The lack of coordination between the ICC and African mediators was perceived as a jeopardising element for peace negotiations. This is why several African countries (signatories and non-signatories to the Rome Statute) have decided to call for the withdrawal of African countries from the ICC. In October 2016, South Africa, Burundi and The Gambia announced their withdrawal from the Rome Statute and deposited their instruments of withdrawal with the UN Secretary-General. These withdrawals sparked a global debate, calling for the countries to stay with the ICC to protect against impunity for international crimes. On 30-31 January 2017, the AU adopted a Withdrawal Strategy at the 28th Ordinary Session, further calling for mass withdrawal from the ICC. The strategy is not binding on the 55 member states as it is the sovereign right of each country to stay or withdraw from the Rome Statute. The withdrawal strategy was not adopted unanimously and at least 9 states expressed reservation. Nigeria, Senegal, Cabo Verde were completely clear they do not want to withdraw. Other countries which expressed their reservation are Liberia, Malawi, Tanzania, Tunisia and Zambia. There are also other AU states not in agreement with the withdrawal decision, such as Botswana - which has been a constant supporter of the ICC. The withdrawal of South Africa was challenged nationally by opposition political parties. The South African High Court ruled that the decision was unconstitutional and invalid as the government issued its withdrawal strategy without consulting parliament. On 7 March 2017, South Africa withdrew is notification of withdrawal and is still party to the Rome Statute. Similarly, President Adama Barrow, the new president of The Gambia, announced the intention of his country to stay a party to the Rome Statute. This is a different view from his predecessor’s government, which called the ICC the “International Caucasian Court for the persecution and humiliation of people with colour, especially Africans”. On Friday, 27 October 2017, Burundi became the first nation ever to fully withdraw from the Rome Statute. The AU has since sought an advisory opinion from the International Court of Justice on the question of immunities of a Head of State and Government and other Senior Officials as it relates to the relationship between Articles 27 and 98 of the Rome Statute and the obligations of States Parties under International Law. The African Union has pushed for an alternative model for justice based on the concept of subsidiarity, arguing that the ICC is a Court of last resort. It has highlighted the existence of African courts as well as its own mandate in the area of justice. As mentioned, the AU has a strong mandate to address justice and human rights in the continent. The Constitutive Act of the African Union outlines the aim of the AU to promote and protect human and peoples’ rights in accordance with the African Charter on Human and Peoples’ Rights and other relevant human rights instruments. The right of the Union to intervene in a Member State is provided for by a decision of the Assembly in respect of grave circumstances, namely war crimes, genocide and crimes against humanity. Respect for democratic principles, human rights, the rule of law and good governance is also well articulated in the Act together with the respect for the sanctity of human life, condemnation and rejection of impunity and political assassination, acts of terrorism and subversive activities. This means that the Constitutive Act gives to the AU the authority to engage in cases of accountability for international crimes within the African continent. This way, the AU is "empowered to promote and defend African common positions on issues of interest to the continent and its peoples"
Yet, not all member states have ratified all the key AU legal instruments that could enable the AU to play a stronger role in the area of justice. Where the ratification has occurred, there is still a lack of domestication, especially of the AU Human Rights instruments. Countries have also been slow to make a declaration to give access the African Court of Humans and People's Rights (AfCHPR) to individuals and common citizens. To date, only eight countries have made such a declaration (the latest being Benin on 1 March 2016), limiting direct access for individuals to the court, which is necessary in cases involving human rights violations. There is also a lack of ratification to give effect to the Protocol on the Statute of the African Court of Justice and Human Rights (ACJHR) to set up the merged court. Until today, only five countries have ratified the Protocol since it was adopted on 1 July 2008. Similarly, there has been no ratification of the Malabo Protocol, which extends the jurisdiction of the ACJHR to try international crimes. Even Kenya, which pledged financial support to the operationalization of the ACJHR, has not ratified the Malabo Protocol. Member states have also been slow in meeting their reporting commitments under the AU human rights instruments. For example, member states to the ACHPR are supposed to issue an initial report to the African Commission on Human Rights two years after ratification or accession to the ACHPR, while periodic reports are to be submitted every two years after the initial report. State reports are a forum for constructive dialogue that enables the African Commission of Human and Peoples Rights to monitor the implementation of the ACHPR and identify any challenges faced by a country. Although the African Union is being proactive in finding new ways to deal with continental and international justice, still much has to be done to attain unity and effectiveness. For example, the AU together with Senegal was instrumental in establishing the Extraordinary African Chambers that tried and convicted Hissène Habré for crimes against humanity, war crimes and torture. As the issue of migration is knocking hard on the door of many countries worldwide, the African Union is hearing the call and working on solutions within the continent. Within the AU, the overarching migration policy frameworks are the African Common Position on Migration and Development and the AU Migration Policy Framework for Africa, both adopted by the Executive Council of the AU in 2006. As a follow-up, the AU has launched several key flagship programmes in relation to various aspects of migration. One flagship programme is the 2009 AU Commission Initiative against Trafficking (AU.COMMIT) Campaign, with the Ouagadougou Action Plan at the centre of its objective. To strengthen these efforts, in 2014 the AUC established the African Union Horn of Africa Initiative (AU-HOAI) on human trafficking and smuggling of migrants, in direct response to the irregular migration and concerning migration flows within and from the Horn of Africa to different destinations. The AU Assembly of Heads of State and Government in June 2015 adopted the AU-HOAI as a flagship programme. In January 2015, the AU Assembly adopted the Labour Migration Governance for Integration and Development in Africa (also known as the Joint Labour Migration Programme (JLMP), within the Framework of the Declaration and Plan of Action on Employment, Poverty Eradication and Inclusive Development. The AU’s long-term vision, condensed in Agenda 2063 and adopted in 2015, does not specifically mention migration. Yet, it does have, as one of its priorities, to ease free movement of people within Africa. Its ambition is to have all visa requirements for intra-African travel waived by 2018 and a legal framework adopted by 2023 for the issuance of African Common Passport. The JLMP is anchored in the AU Migration Policy Framework and aims to support objectives of Agenda 2063 and Agenda 2030. Also in 2015, the AU established a Common Position ahead of the Valletta Summit. The process culminated in a Common Perspectives Paper that presents six themes: labour migration, human trafficking and smuggling of migrants; international protection; trade in goods and services and integrated and coordinated border management; education and human capital development; diaspora and partnerships. The main emphasis of the Common Position lies on intra-African facilitation of labour mobility and protection of migrants and refugees. To ensure that migration policies address the right issues in the right manner, it is utterly important to understand the drivers of migration at a deeper level in the first place. Today, migration represents one of the key areas of reform targeted by the AU, and developing an African Agenda on Migration is underway to materialise common ambitions, inspire future action on migration, and facilitate a coherent management of migration in Africa. The continent is also moving towards achieving greater freedom of movement with the signature of the Free Movement Protocol by 30 countries during the last extraordinary African Contintental Free Trade Agreement (AfCFTA) Summit in March 2018. One of the most important achievements in the field of peace and security was the establishment of the African Peace and Security Architecture (APSA). The APSA is a set of institutions and bodies with different mandates, objectives and composition that work together to promote peace and development in Africa. 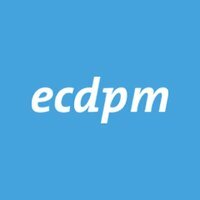 Read the whole ECDPM APSA story here. Increasingly, however, concerns are being raised on the AU’s insufficient focus on conflict prevention. Several conflicts in Africa are emerging (or re-emerging) (including in Ivory Coast, Libya, Mali, Guinea Bissau, Somalia, Western Sahara and the Democratic Republic of Congo) due to structural governance weaknesses. It is against this backdrop that the AU has reinvigorated its focus on governance and conflict prevention. The AU has stepped up its governance work, to support the building of institutions capable of consolidating democracy, human rights and the rule of law, although Africa’s negative reaction to the ICC continues to influence the AU’s agenda in this area. In 2007, the AU also adopted the African Governance Architecture (AGA), which addresses some of the key structural dimensions of vulnerability and key challenges for conflict prevention. The AGA was set up to address dimensions of structural weaknesses such as lack of good governance, the rule of law, democracy and human rights, popular participation, ill-management of public funds and service delivery among others. Despite some successes, such as ensuring the entry into force of the African Charter on Democracy, Elections and Good Governance (ACDEG) and stimulating the involvement of the youth in governance issues in Africa, the AGA has encountered several implementation challenges in other areas of its large agenda. To ensure its relevance to the current challenges on the continent efforts are being made to enhance linkages between the AGA and the APSA to avoid further fragmentation. Most recently, the Peace and Security council adopted the Continental Structural Conflict Prevention Framework (CSCPF) in its 502nd meeting in April 2015. The CSCPF has links to the AGA. It responds to: (1) the need to hasten the APSA; (2) to strengthen the coordination and harmonization role of the AU vis-à-vis the RECs as stipulated in the PSC Protocol; (3) to mainstream policy implementation within the AU Commission in line with the recommendation of the 2007 AU Internal Audit and the 2010 APSA Assessment Report; and (4) to address the structural or root causes of conflict in Africa more systematically. Another area of governance where the AU has made significant progress is election observation. The AU Commission has a mandate to observe all elections across Africa. Their missions have become increasingly professional and influential with close cooperation on the spot with the European Union (EU) and other election observation missions. This positive trend is however hindered by the lack of funding possibly constraining deployment and modality of observation. The EU is supporting the AU’s capacity development in this area including a €6.5 million programme under the Pan African Programme. As the highest and most diverse inter-governmental organization in Africa, the African Union has managed to assert itself as a key player in the global arena. In managing Africa's international relations, the African Union has supported the development of African policies and institutions. With a level of success in the area of Peace and Security whilst currently working on finding African solutions to global problems including in Justice and Migration and advancing further Africa’s human progress, peaceful co-existence and welfare agenda. At ECDPM, the African Institutions Programme works to promote inclusive forms of development in cooperation with public and civil society organisations between Africa and its international partners. Its aim is to support Africa’s efforts in its development agenda for positive development outcomes. For more information contact Luckystar Miyandazi (lmi@ecdpm.org) or Philomena Apiko (pha@ecdpm.org).